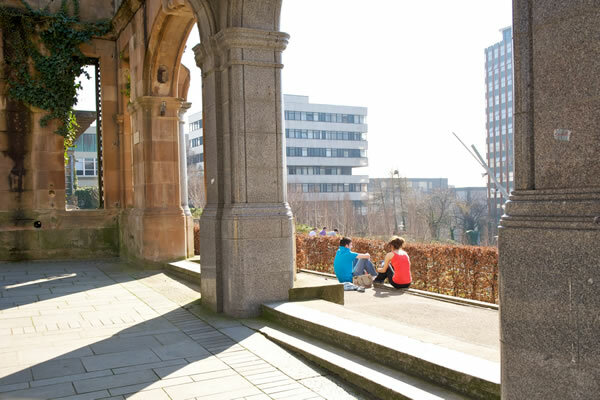 The Department of Mathematics and Statistics at the University of Strathclyde are proud to host the 28th edition of the Biennial Numerical Analysis Conference from 25th to 28th June 2019. Submit or update your registration for the 2019 Conference. Submit an abstract or revise your existing submission. The conference will begin at 9am on Tuesday 25th June and finish with lunch on Friday 28th June. A number of minisymposia will be scheduled during the parallel sessions. Each minisymposium should consist of a multiple of three 20 minute talks. If you are interested in organising a minisymposium, in any branch of Numerical Analysis or a cognate area, please contact the conference committee. Please supply the title of your proposed minisymposium along with a brief abstract and a tentative list of speakers. Please note that individuals are limited to one presentation, either a minisymposium talk or a contributed talk. Organisers are encouraged to ensure that the speakers represent a broad spectrum of research experience. Authors will advised of acceptance of proposals by email shortly after submission. The deadline for submission of minisymposium topics is 31st March 2019. Abstracts from contributors should be submitted by April 30th 2019. Abstract: The numerical solution of problems involving differential or integro-differential equations is a mainstay of numerical analysis. As is well known, many numerical methods for these problems involve linear solves, which can dominate the computational cost. Accordingly, tailored and efficient iterative methods are required. 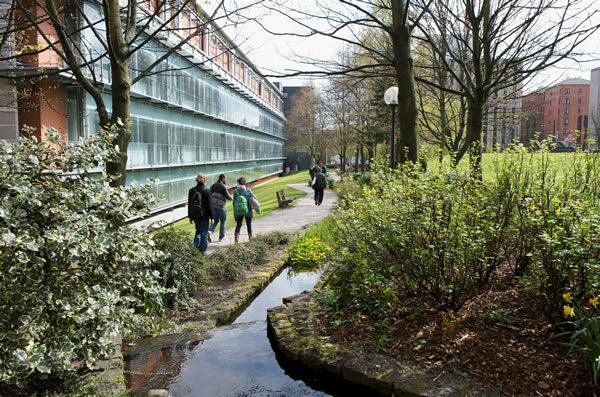 This minisymposium will explore effective iterative methods and preconditioners for problems involving partial differential equations, fractional differential equations and partial integro-differential equations. Abstract: In recent years there has been an explosion in the number of published papers dealing with numerical methods for fractional-derivative problems, but the rigorous analysis of such methods has many open questions. This mini-symposium brings together several fractional-derivative experts to present and discuss recent developments in this fast-changing area. alternative, improved, reliable, and efficient approaches to the numerical solution of large-scale inverse problems. The goal of this minisymposium is to present new state-of-the art solvers, with a particular focus on techniques that exploit innovative numerical linear algebra and optimisation tools. Abstract: Partial Differential Equations (PDEs) are involved in the modeling of many problems in Sciences and Engineering. It is well known that, in most cases, it is impossible or very difficult to obtain analytic solutions of PDEs. For this reason, in this mini-symposium we address some numerical methods to approximate PDEs solutions and we analyze several important questions of recent interest concerning the numerical integration of PDEs. In particular, the talks focus on, but not limited to, how to avoid the order reduction phenomenon, the advantages of using transparent boundary conditions, near energy conserving numerical schemes and the Rayleigh-Bénard problem. Moreover, the aim of this session is to provide an opportunity for researchers to discuss recent progress in the field. Abstract: Spectral methods are a class of numerical techniques used to solve differential and integral equations by expressing the solution as an expansion in a global basis such as trigonometric or orthogonal polynomials. The speakers in this minisymposium will present recent developments in fast transforms, infinite-dimensional linear algebra, multivariate orthogonal polynomials, non-local problems, rational approximation and domain decomposition methods that are allowing spectral methods to tackle problems previously viewed as outside their reach. Abstract: Wave propagation appears in many physics, engineering and military applications. The study of wave propagation often requires solving partial differential equations in unbounded domains, on which the computational cost is very large. Various techniques have been developed to reduce the computation to a boundary domain, including artificial boundary conditions, boundary integral equations, and perfectly matched layers. This mini-symposium aims at bringing both leading experts and young researchers working on these problems, to discuss the latest results and to exchange new ideas, approaches, possible applications and emerging computational techniques. Abstract: Model-driven optimization and control is at the core of a myriad of modern scientific and societal challenges including the control and estimation of collective behaviour phenomena, the design of protocols for autonomous vehicles, and the study of data transmission over communication networks, to name a few. Furthermore, in an applicative framework a fundamental step to study real problems is represented by the introduction of stochastic parameters reflecting the natural lack of information due to a wide range of phenomena spanning form possible external actions to behavioral forces. Therefore, the quantification of the influence of uncertainties is of paramount importance to build more realistic models and to design efficient automation strategies. This minisymposium addresses the analysis of novel computational techniques for robust control synthesis in the presence of parametric and structural uncertainties. It aims at promoting interactions between researchers working on computational methods for Hamilton-Jacobi and Fokker-Planck type equations, multiscale interacting particle systems and kinetic equations, PDE-constrained optimization, and applications in collective dynamics. Abstract: We discuss recent advances in the numerical approximation of problems in fluid mechanics. The emphasis will be on finite element methods for Stokes and Navier-Stokes equations, but contributions in related areas such as discontinuous Galerkin, virtual elements or finite volume methods will also be welcome. In addition, contributions related to adaptive methods for one (or several of) the above topics will also be welcome. Abstract: There is a strong relationship between network science and linear algebra, as complex networks can be represented and manipulated using matrices. Some popular tasks in network science, such as ranking nodes, identifying hidden structures, or classifying and labelling components in networks, can be tackled by exploiting the matrix representation of the data. In this minisymposium we sample some recent contributions that build on an algebraic representation of standard and higher-order networks to design models and algorithms to address a diverse range of network problems, including (but not limited to) core-periphery detection and centrality. Abstract: Optimisation problems over continuous variables are ubiquitous across quantitative disciplines, and the development of efficient numerical methods to solve such problems is an important topic in numerical analysis. This minisymposium will present recent work on a diverse array of continuous optimisation problems, including linear and nonlinear programming, and global and stochastic optimisation. Abstract: The theoretical and algorithmic aspects of rational approximation have experienced a surge of interest in recent years, motivated in part by applications of rational approximation in numerical linear algebra. This minisymposium aims to bring together researchers working on these diverse aspects of rational approximation. Topics of interest include the role of rational functions—in particular composite rational functions—in matrix factorization algorithms, model order reduction, and spectral theory; algorithms for rational interpolation and best/near-best approximation; and analysis of rational approximants. Abstract: The mini-symposium focuses of the fundamental challenges of understanding uncertainties in numerical analysis. Addressing these challenges requires synergies across mathematical disciplines including statistical sciences as well as traditional numerical analysis. The mini-symposium aims at presenting possible approaches to form this synergy by discussing, motivating, and highlighting approaches enabling the coherent propagation of probability measures through the numerical computation and inference. Recognizing a potential possibility of statistical view on the data employed in numerical schemes gives rise to a new understanding of the notion of dimensionality and important properties it entails, in particular in the case when dimension of the vector space to which the original data belongs is high. Revealed intra-disciplinary connections between traditional and more recent approaches in numerical analysis enables linking of vast relevant accumulated expertise in numerical analysis to the vibrant community of Machine Learning and Artificial Intelligence. Abstract: Real life problems require expensive approximations and when such approximations are combined with other numerical methods the cost can become prohibitive. This is especially relevant in stochastic problems where samples of an approximation must be computed to explore the probability space. Hierarchical methods, lead by Multilevel Monte Carlo, have been successfully applied in many problems of this kind with excellent results. By using a combination of solutions with low to high accuracy, the underlying numerical methods, such as Monte Carlo, are accelerated by orders of magnitude. In this mini-symposium, we discuss the recent advances and analysis of these hierarchical methods and their application to new problems. All attendees are invited to submit an abstract for a talk to be delivered during a parallel session. Please note that individuals are limited to one presentation, either a minisymposium talk or a contributed talk. Abstracts can be submitted via the registration page for approval by the organising committee and will normally be reviewed within one week. The deadline for submitting abtracts is April 30th 2019. Talks are fifteen minutes long with an additional five minutes for questions/discussion. When submitting an abstract please use this template (1k, tex). The 2017 meeting was held at the University of Strathclyde in June, 2017. 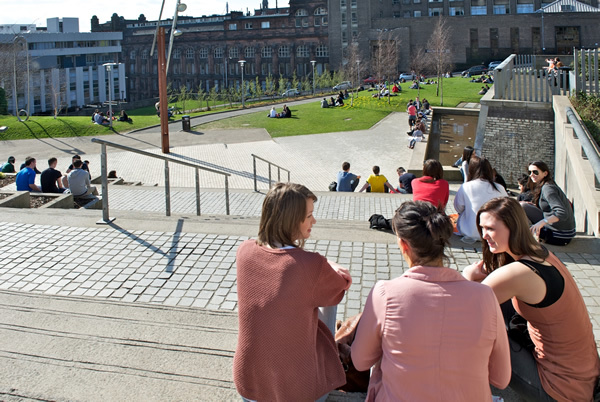 The 2015 meeting was held at the University of Strathclyde in June, 2015. The 2013 meeting was held at the University of Strathclyde in June, 2013.